Do I want to be a hacker? Can I change the world? As you might know I have been reading allot about startups. And I have already expressed my desire to learn to code. I am progressing nicely with learning to code. At the same time I have continued reading books about software and startups. The first reference to the term Hacker was in the book The Launch Pad. My understanding of a hacker has always been the Hollywood version: young kids trying to break into some system that they are not supposed too. It soon became clear to me that the term Hacker, which many startup and software books refer to, are not the same thing. So now I find myself asking a question I would have never thought possible only 6 months ago: Do I want to be a hacker? In his book: Hackers and Painters, Paul Graham talks about Hackers throughout the entire book. He also put me onto an essay by Eric Steven Raymond called ‘How to become a hacker’. He describes hackers as people who tackle hard problems. By trying to solve them, hackers help make the world a better place. Hackers are the people who did the hard yards to build the internet. Not the definition I had in mind. I now have a much better understanding of open source software and how this culture of hackers is connected to it. It feels like there is another world that I have always known of, but never took the trouble to explore. Now that I am, I can’t help asking: Do I want to be a hacker? In Outliers Malcolm Gladwell says it takes 10000 hours to become a master at something… Do I want to be a hacker? 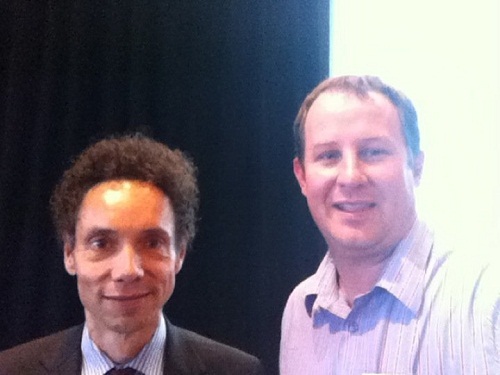 In his book Outliers, Malcolm Gladwell argues it takes 10 000 hours to become an expert in something. This is the argument that Peter Norvig makes in his post ‘Teach Yourself Programming in Ten Years’. 10 years… is a long time. Do I want to be a hacker? I have spent 10 years being in the ’business’ side of software/web business. The more I read about it, the more appealing this technical side looks. I don’t know if I am ready to make a 10 year commitment yet, but I am warming up to the idea. This entry was posted in Random Thoughts on 2013/01/16 by Justinus.